It is eery, once more. When I attended Yeshivat Kerem B’Yavneh, there were two Israeli guys on the other side of the room, in the block known as “Sheraton”. One was Ze’ev Roitman הי׳׳ד and the other Chovav Landoi הי׳׳ד. I see their faces very clearly and their voices still resonate. I felt closer to Ze’ev than Chovav. I seemed to get on well with those of Sephardic extraction. Ze’ev had lost his father. They lived in Rechovot, near the Yeshivah. One day, Ze’ev’s father, who was Ashkenazi, went to the local clinic for an injection. Unfortunately, the needle he was given was not new, and had been used on an Arab with yellow fever, just prior. Ze’ev’s father contracted the disease and passed away. Ze’ev was brave. I admired him. He had an M16 in his cupboard, and he and Chovav were in year 3 (if my memory serves me correctly) of their 5 year combination Hesder program of 3.5 years in the Yeshivah and 1.5 years in the army. Chovav was dating at the time, and though I can’t remember the name of the girl, whom he married, I recall her name started with ‘P’. I returned to Australia and continued postgraduate studies (I had returned to the Yeshivah after my Bachelors degree for a rejuvenative time). The first Lebanon war intervened. I was to learn, to my horror, that the Yeshivah lost exactly two boys: Ze’ev and Chovav. They were in a tank that scored a direct hit and were incinerated. Chovav’s wife was heavily pregnant with their first and only child, a boy. This event played on my conscience and laid fallow any attempt to find reason, and to this day, I don’t stop thinking that while I was on the other side of the room back then, the grizzly מלאך המוות was sizing up his prey. I wondered what right did I have to live in comparative luxury and peace. I didn’t have any answers, and to be frank, the less I thought about it, the more able I was to deal with life, as it unfolded. Take 2. I was singing at a wedding on a very humid evening, overseeing the picturesque Albert Park Lake. My band Schnapps was pumping, and the atmosphere electric. I had just returned from India where I had travelled on University business less than 2 weeks earlier. In particular, over Shabbos, as was my custom, I stayed at the Chabad House of my friends R’ Gavriel Holtzberg הי׳׳ד and his wife Rivki הי׳׳ד. They were gunned down in cold blood by Muslim terrorists whose aim was to kill peaceful Jews who were in a hidden, difficult to find, building surrounded by chickens and all manner of domestic animal. As the news trickled in, I was beside myself with worry. Between music sets, I was ringing R’ Gavriel’s cell phone incessantly. I did get through once, but alas, the subterranean neanderthal creäture-terrorist on the other end didn’t respond, and then hung up, despite my entreaties. I have spoken and written about this episode too many times, regrettably. was from Har Bracha. Rabbi Shevach’s murderers were captured a months ago. A few moments ago my watch buzzed and I saw that they had captured Rabbi Ben-Gal’s murderer. 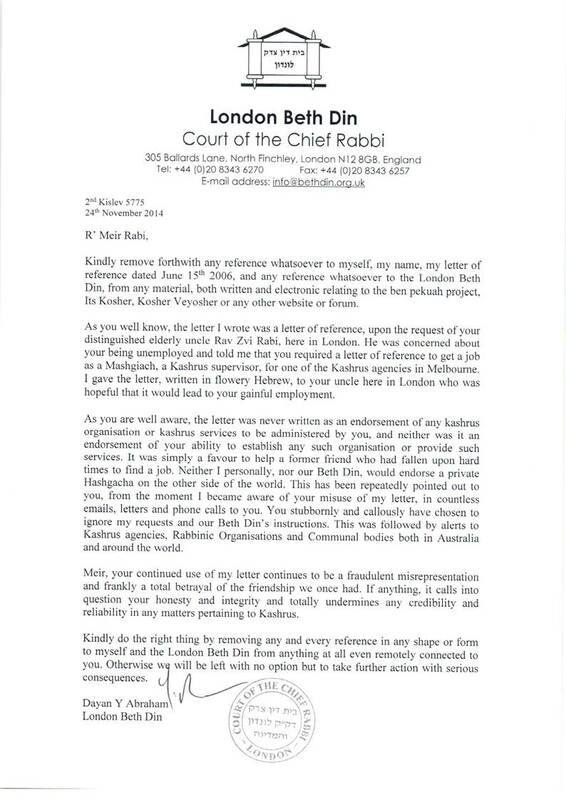 Last week, I chanced on an article in twitter about Rabbi Ben-Gal, where his father Rabbi Daniel was also mentioned. I noticed that next to Ben-Gal, there was the name “Buzaglo” in brackets. My heart missed a few beats. My afternoon Chevrusa at Kerem B’Yavneh was Daniel Buzaglo. I remembered him very well, and his good friend and morning Chevrusa, Michael Ten-Ami. Daniel had become Rabbi Daniel and Michael had become Rabbi Michael. I lost contact at least 35 years earlier. I scrambled to see if any of the news articles contained pictures, and yes, it certainly looked like the father of Rabbi Itamar Ben Gal, was indeed my Chavruso, Rabbi Daniel Buzaglo. I was, as they say, בהלם. I contacted the Yeshivah and emailed the secretary. Sure enough, it was indeed R’ Daniel’s son. I obtained his cell phone and email address. Entering the information into my contacts, I tentatively tried to see if the number was on “whatsapp”. Sure enough R’ Daniel was on whatsapp. What should I say? What could I say? What wouldn’t sound rehearsed or trite? I chose my words very carefully and pressed send. The next day, there was a response. He remembered me very well and reminded me that I had complained that my head was still spinning from the flight the first time we had learned together. I wrote back and hoped my simple words could achieve anything at all. I was excited when R’ Daniel wrote that I was giving him strength through my contact. I did not mention that I have a son with three young children not much younger than R’ Itamar הי׳׳ד. Erev Shabbos, I sent R’ Daniel a short message about the tradition that when we take out 3 Sifrei Torah, the Tanna R’ Yishmael tells us that this moment when the Aron HaKodesh is open is propitious for answering our entreaties. I thought this would be an appropriate opportunity for supplication to relay to R’ Daniel. I was sure he had many things that he “wanted done”, so to speak. This early morning, R’ Daniel wrote back to me that he had used that time to daven for what was needed. Less than 12 hours later, my watch buzzes with the information that the terrorist who murdered R’ Daniel’s son, had been caught. Author pitputimPosted on March 18, 2018 March 18, 2018 Categories UncategorizedTags Chovav Landoi, Daniel BenGal, Daniel Buzaglo, Gavriel Holtzberg, Itamar Ben Gal, Rivki Holtzberg, Zev RoitmanLeave a comment on It is eery, once more.